The full verdict: The Western is currently having a quiet renaissance. 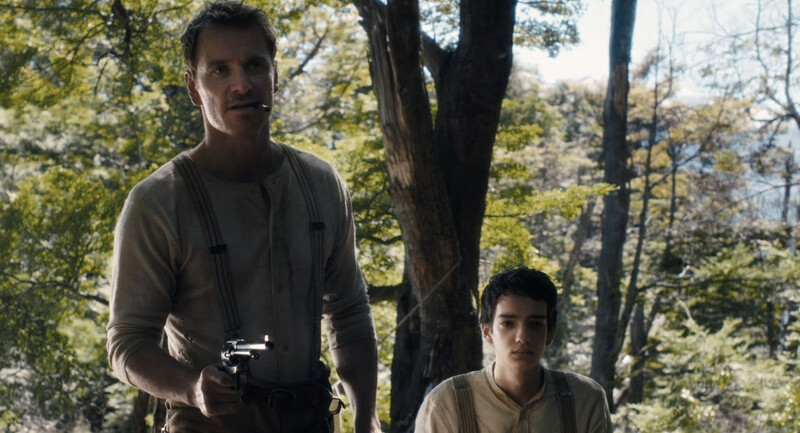 Mads Mikkelsen’s The Salvation and Brit Marling’s The Keeping Room (technically a “Southern”) do new things with familiar conventions, and are joined by Slow West, which mixes the lyrical cynicism of Deadwood with the genre-twisting of Eastwood’s Unforgiven. Onto a straightforward road movie plot, Maclean hangs an array of themes and concerns. Jay Cavendish believes 19th century America to be the land of classless opportunity, but comes across the casual killing of Native Americans and outlaws exploiting the weakness of basic decency. 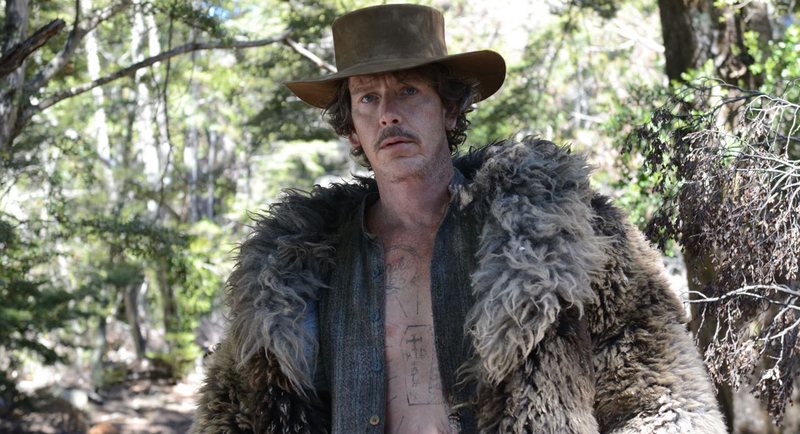 Not that Slow West is satisfied with white and black hats. Even the main posse of villains, led by the aptly named Payne (Mendelsohn), are misfits of different ages and stripes, eking out a living in a hostile land. Maclean makes room in the disciplined 85 minute run time for an anecdotal aside knocking celebrity culture – one of Payne’s aged gunslingers relating a screwball cautionary tale about a young buck’s attempts to get his mug on a Wanted poster. Maclean punctuates his film with these vignettes, including a shoot-out in a remote convenience store that is pure Peckinpah, foreshadowed by a superb moment when Jay tries on a suit jacket and spots the bullet hole that ended its previous owner. 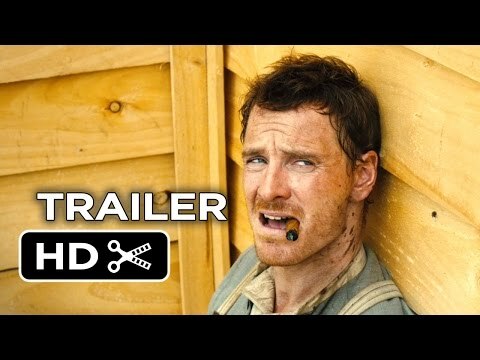 Fassbender delivers his usual A-game as what Payne calls a “falling angel”, a good man seasoned by life in the Old West, while McPhee is the perfect foil as a dreamer who literally cannot keep the shirt on his back without Silas’ help. Mixed in with the dark comedy and brutality are surreal flourishes including an encounter with Native Americans that has a jaw-dropping punchline of splatstick humour, and Jay’s flights of fancy that unwittingly foretell future events. The plot also echoes the Japanese Lone Wolf and Cub series of movies, which also allowed moments of quiet reflection and surreal beauty amidst the carnage. 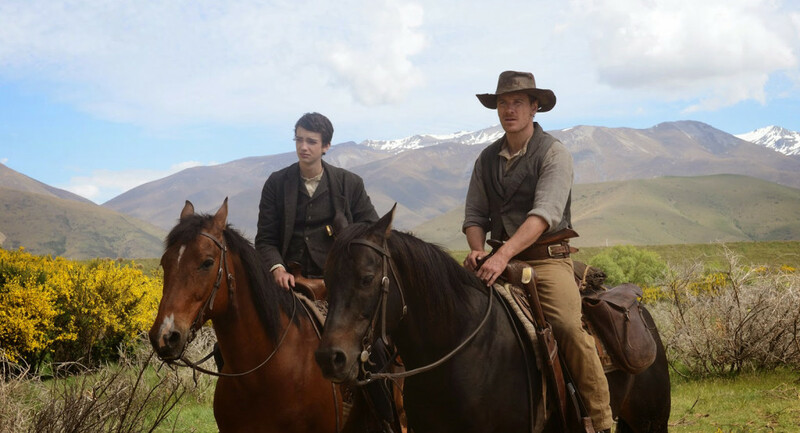 But, Slow West knows it’s first and foremost a Western, delivering a breathtaking climactic showdown as all parties converge on the house of Rose and her father (McCann, Game of Thrones’ ‘The Hound’). Superbly choreographed in a field of corn and inventively plotted to thwart expectations (the heroes are largely denied heroics), the sequence delivers good buck/bang value, offbeat fairy tale moments and a stark lesson that life is sometimes hardest on the little things. There are a few missteps in the pacing of earlier scenes, although despite the title the film is never ponderous. The one real disappointment is Maclean choosing against shooting his film in full widescreen. 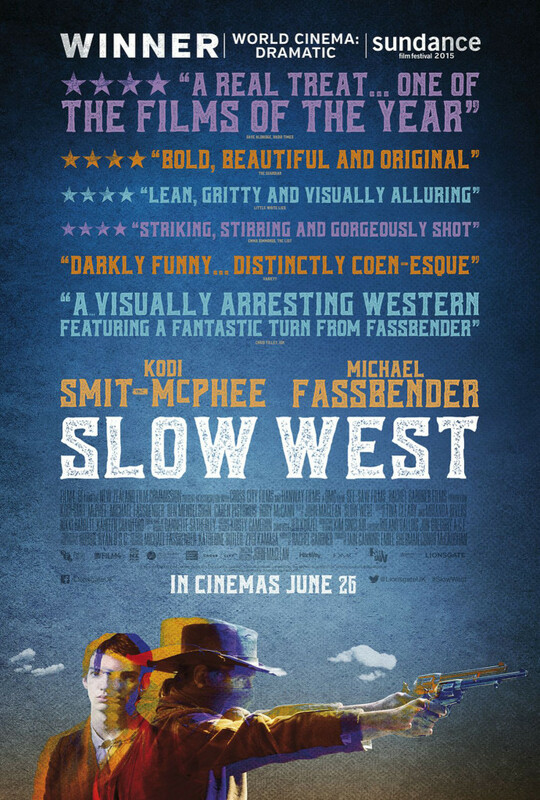 His eye for composition, particularly the rolling plains (New Zealand’s South Island convincingly doubling for the Old West) are only done partial justice by the 1.85 framing. But, this is a geeky grumble about an unusual and memorable debut.